Today’s main news: Prosper qualifies borrowers up to $40K. GreenSky completes largest fintech IPO of the year. RateSetter hits $2.5B in lending. Lebashe increases RainFin stakes to 75%. Today’s main analysis: Peter Renton’s quarterly MPL results. Today’s thought-provoking articles: Alternative loan customers may perform well on traditional credit products. Banks, credit unions, and alternative lenders. How Ashton Kutcher invests in startups. What the blockchain means for the future of SMB lending. How Ashton Kutcher invests in startups. Amazon’s finance ambitions draw attention from the Fed. Autotrader, Kelley Blue Book partner with LendingTree. Many payday loan customers have good credit. How Dodd-Frank roll back can benefit small lenders. OppLoans is one of the best workplaces in Chicago. RateSetter hits 2.5 billion GBP in lending. Brexit creates opportunity to reform banking regulation. Doherty Menswear raises 45 euro in P2P loans. ThinCats makes two new hires. China Rapid Finance releases preliminary Q1 results. The fuse that could light China’s debt bomb. What the blockchain means for the future of small business lending. Europe: Robo.cash shows that millennials are taking over investing. Ireland: Future Finance takes on 100 GBP debt facility. South Africa: Labeshe buys 75% stake in RainFin. Singapore: GIC is the most active Asian PE investor in Q1. Canada: IOU Financial releases Q1 financial results. Today we’re pleased to announce that Prosper now offers qualified borrowers access to loans up to $40,000. Two-thirds of consumers active in the alternative loan market fall in the subprime risk category, the riskiest of all credit tiers. Yet, a new TransUnion (NYSE:TRU) study found that many of these consumers perform well when opening traditional credit products such as credit cards, auto and personal loans. Approximately 26% of alternative loan borrowers who originated a traditional loan product in the study opened an auto loan and 50% took out either a personal loan or auto loan. This latter statistic compares favorably to the 37% origination rate for the rest of the population in the study. FIS found that more than one-quarter (27%) of small businesses in the U.S. are using alternative lenders like these. Among Millennial business owners, that percentage is double (48%). And yet only 7% say they are using these platforms for lower interest rates; in most cases, banks and credit unions offer better rates. FIS also found that small businesses have been turning to non-bank financial apps to make B2B payments. In research conducted by ath Power Consulting, two-thirds of small business owners said they would consider switching to a competing banking provider if it offered products and services to help them better manage and grow their business, and over half (54%) would consider switching to a non-bank alternative for the same reasons. Digital Federal Credit Union and offers a service to small businesses to raise capital and give its members an opportunity to invest in community business. The credit union has partnered with GrowthFountain, a funding portal of crowdfunding solutions. Tennessee Valley Federal Credit Union has also done the same thing. San Francisco startup Seed is a free mobile-only banking service for small businesses, who can get a checking account and a debit card through Seed’s partnership with The Bancorp and have access to bill payment, mobile check deposit and ACH and wire transfers. Seed is sort of like Mint and QuickBooks except that Seed directly partners with a FDIC-insured bank (like how Simple started out). There’s not a physical checkbook in sight. My preliminary return of 4.70% is close to where it was last quarter but still down. I don’t expect my final Lend Academy P2P Fund return to increase this number so I am still stuck in the downward trend of returns. My six original accounts at Lending Club and Prosper have all been open for at least six years so they are very mature accounts that have experienced several turns of capital as I have kept reinvesting over the years. The returns for the past year are still bad at 2.34% as I continue to pay for poor underwriting performance in 2015 and 2016 at both companies. When you see today that you can get 3% on a 10-year Treasury Note a sub 3% return is just not acceptable for an unsecured consumer loan. San Francisco-based SoFi said a downtown San Francisco office it picked up this year through an acquisition is paying an unexpected dividend: greater interest from engineers that the fintech wants to hire. SoFi has 44 engineers at the company’s downtown San Francisco office at 222 Sutter St, consisting of almost 15,000 square feet on one floor. Another 40 or so employees float between SoFi’s downtown office and Presidio headquarters. A lot of venture funds try to optimize for returns. They run complex ratio economic models to determine what their diluted value will be at the end of the life cycle of the optimal and non-optimal case of every given company. Fed Vice Chairman Randal Quarles, the U.S.’s most influential banking watchdog, is monitoring the potential for disruption to the industry and has expressed concern about how tech companies could provide financial services outside of regulators’ oversight, according to people who’ve spoken with him privately. Quarles hasn’t yet made any moves to intervene and the Fed’s influence would be limited. Should the Fed get involved in the debate, it could be welcome news for traditional banks, who view Amazon and other technology companies as potential threats that enjoy fewer regulatory constraints. 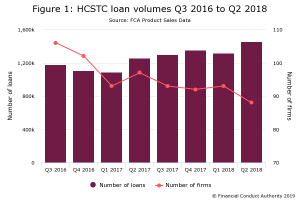 The companies are increasingly encroaching on lenders’ business, as evidenced by Amazon’s recent interest in offering a product akin to checking accounts. Securing vehicle financing in advance can save car buyers both time and money on their car-shopping journey. With this in mind, Autotrader and Kelley Blue Book, both Cox Automotive companies, have teamed with LendingTree. LendingTree’s auto finance marketplace provides each site’s visitors simple and easy online financing that can be used for new and used cars and trucks, anywhere in the United States. When Liz Pagel and Matt Komos began analyzing a slew of alternative credit data gathered by FactorTrust, an alternative credit bureau TransUnion acquired last year, they sought to understand the behavior of consumers who use payday loans, pawnshop loans, auto title loans, rent-to-own arrangements and “buy here, pay here” credit. But 12% turned out to be prime and super prime. Only 3% were unscored. The researchers then looked at what other credit these short-term borrowers have and found 75% have traditional credit, too. New legislation passed by the House of Representatives would relax restrictions on thousands of smaller lenders, potentially opening up the spigot for developers seeking commercial loans. The bill, which is awaiting President Trump’s signature, would remove provisions of the 2010 Dodd-Frank Act that many community and regional banks had deemed too costly and unfairly burdensome. OppLoans is an online lender that uses a data-driven credit-scoring algorithm to provide loans to consumers who can’t access credit from traditional institutions. OppLoans is one of the fastest-growing tech companies in Chicago and has been named to the Inc. 500 two years in a row. Today Fundbox, a leader in credit and payments for small businesses serving other businesses (SMB2B), announced that it has been selected as winner of the “Best Overall Business Lending Company” award by FinTech Breakthrough, an independent organization that recognizes the top companies, technologies and products in the global FinTech market today. The peer-to-peer lender, which launched in 2010, said 65,000 people have RateSetter investment accounts, financing more than 460,000 borrowers. Investors have lent more than £1.55bn to individuals and almost £950m to businesses and have earned an average annual return of 4.4 per cent. ArchOver, the peer-to-peer (P2P) business lending platform, is helping British investors make the most of their annual tax-free allowance with the launch of its Innovative Finance ISA (IFISA). ArchOver’s IFISA service offers investors premium credit control and security, proven by ArchOver’s no-loss rate. It allows investors to invest directly in successful businesses, earning tax-free interest of up to 10% p.a. – far more than the average return on a cash ISA. OakNorth has called on the Treasury to use Brexit as an opportunity for regulatory reform in banking. Responding to the Treasury Select Committee’s inquiry on SME finance, the bank said that there should be more proportionality between challenger banks and incumbents. China Rapid Finance Limited (“China Rapid Finance” or the “Company”) (NYSE:XRF), operator of one of China’s largest consumer lending marketplaces, today disclosed preliminary financial results for the first quarter of 2018. The Company expects to report a net loss in the range of $25 to $30 million, the majority of which consists of approximately $16 million of one-time expenses: 1) non-recurring expenses associated with preparing for registration; 2) write-offs related to receivables and amortizations; 3) non-cash accounting charges related to adoption of the new GAAP standard for revenue recognition (ASC 606); and 4) one-time costs associated with a pilot funding program that was discontinued due to regulatory changes. In the first quarter of 2018, Yirendai facilitated RMB11,956.7 million (US$1,906.2 million) of loans to 174,128 qualified individual borrowers through its online marketplace, representing a year-over-year growth of 65%; 23.1% of loan volume were generated by repeat borrowers who have successfully borrowed on Yirendai’s platform before; 72.5% of the borrowers were acquired from online channels; 100% of the loan volume originated from online channels was facilitated through mobile. In the first quarter of 2018, Yirendai facilitated 214,231 investors with total investment amount of RMB11,427.6 million(US$1,821.8 million), 100% of which was facilitated through its online platform and 95% of which was facilitated through its mobile application. In the first quarter of 2018, total net revenue was RMB1,592.7 million (US$253.9 million), an increase of 56% from prior year; net income was RMB278.9 million (US$44.5 million), a decrease of 21% from prior year and adjusted net income in the first quarter of 2018 was RMB668.5 million (US$106.6 million), an increase of 91% from prior year. A financial planning manager in a major Shanghai bank branch points to a flickering computer screen displaying a list of wealth management products for customers wanting a higher yield to normal deposits. For a deposit of 100,000 yuan ($20,600), he recommends a “low risk” product with an interest rate of 4.25 per cent over one year. Alternatively, the customer can opt for a riskier 4.75 per cent yield but there is no guarantee they will get any of their money bank. The customer is advised to act fast as yields are falling rapidly following closer government scrutiny of China’s savings products since March. Robo.cash’s research shows that Millennials are steadily taking over the leading position from the older generation of investors. Six months ago, the average age of investors of the platform was 38 years, and the age groups were distributed as follows: Silent generation (73-90) — 0.8%; Baby boomers (54-72) — 9.5%; Generation X (38-53) — 38.6%; Millennials (22-37) — 50.3% and Generation Z (18-21) — 0.8%. Today, the typical investor has grown younger to 37 years old due to the increased share of Millennials — 53.9% and Generation Z — 1.8%. Future Finance, a Dublin-founded student loan specialist that recently secured €40 million in funding, has signed a £100 million (€114 million) debt facility. The deal with alternative asset management firm, Waterfall Asset Management, which includes an option to participate in a further £150 million (€171 million) extension, will enable the company to grow its student lending business further. Wish Finance, a blockchain-based lending platform for SMBs, is using the blockchain to help improve traditional risk scoring systems while providing a simple platform for repayments. Johannesburg-based Lebashe will boost its holdings in RainFin by 24% to 75% for an undisclosed sum, the company said in an emailed statement on Thursday. RainFin, the largest peer-to-peer lender in South Africa, bought back the 49% held by Barclays’s South African unit, with Lebashe acquiring its 51% stake in February last year. Singapore’s sovereign wealth fund GIC completed at least 11 private equity deals in the first quarter of this year, making the $344-billion fund the most active Asian PE investor during the period. GIC joined other investors in sealing two of the biggest investments of the quarter, according to a PitchBook report. It participated in the $5.5-billion buyout of Denmark’s Nets A/S by partnering with private equity firm Hellman & Friedman, and in the $2.5-billion investment in FirstEnergy in January. IOU FINANCIAL INC. (“IOU” or “the Company”) (TSXV:IOU), a leading online lender to small businesses (IOUFinancial.com), announced today its results for the three-month period ended March 31, 2018.